This is a draft transcription and translation of the royal custodians' enrolled accounts for the Templars' property in Shropshire and Staffordshire, which cover the years 1308-9 and 1311-13 and are preserved at Kew: The National Archives of the UK. The first part contains the sheriff's accounts for years 1 and 2 of King Edward II's reign and the second part for years 5 to 7, after which the estates were to be handed over to the Hospitallers. The texts were recorded in Latin; the transcriptions include notes in English. 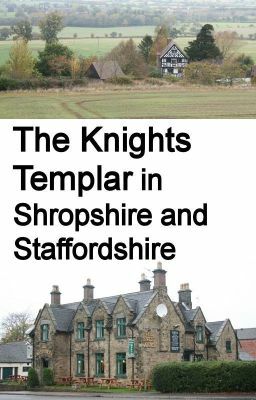 The accounts for Shropshire are particularly interesting because the Templars here not only made money from agriculture but also from the sale of freestone from a quarry on the Lydley estate (Shrops), and received income from extraction of coal and iron at Keele (Staffs.). There are two copies of each account: the accounts for years 1 and 2 are enrolled at TNA E 358/18 rot. 4 with a second, amended copy at E 358/20 rots 5-6, while the accounts for years 5 to 7 are enrolled at TNA E 358/18 rot. 54, with a second, amended copy at E 358/19 rot. 36. The documents in the National Archives are covered by an Open Government Licence for public sector information, which allows everyone to copy, publish, distribute and transmit the documents in their archives: http://www.nationalarchives.gov.uk/doc/open-government-licence/version/3// . However, this transcription of the documents is copyright Helen J. Nicholson The cover picture shows Penkridge Hall, the sixteenth-century house on the site of former Lydley commandery (Shrops. ), and the Sneyd Arms pub in the village of Keele (Staffs. ).